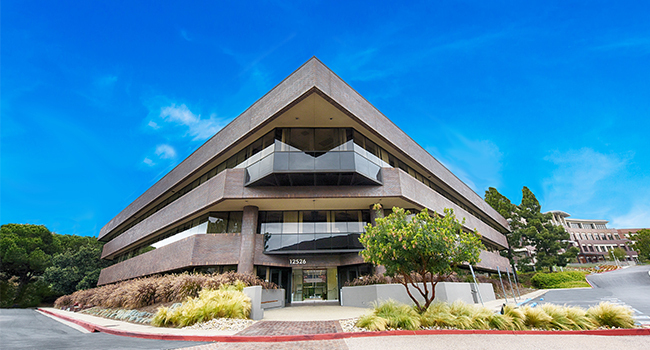 The Plaza Del Mar is a beautiful and prestigious building that offers office plans and virtual office space in San Diego, California, located near the 5 freeway, the 56 freeway, and Del Mar Heights Road. 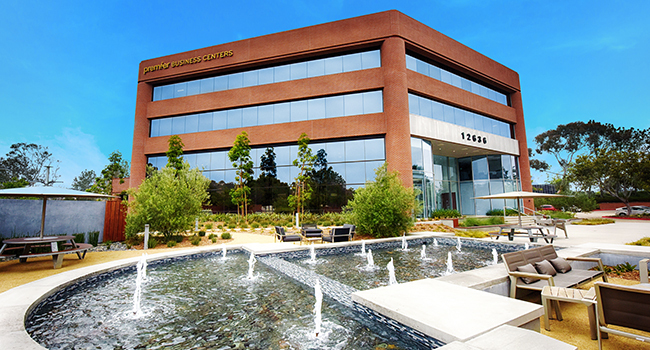 Welcome to our Del Mar Corporate Plaza location at 12636 High Bluff Drive, Suite 400, San Diego, CA 92130, within 102-acre San Diego Corporate Center. This 14,640 square foot 4th floor suite has pleasant expansive views and a lovely water feature at the entry to the building.